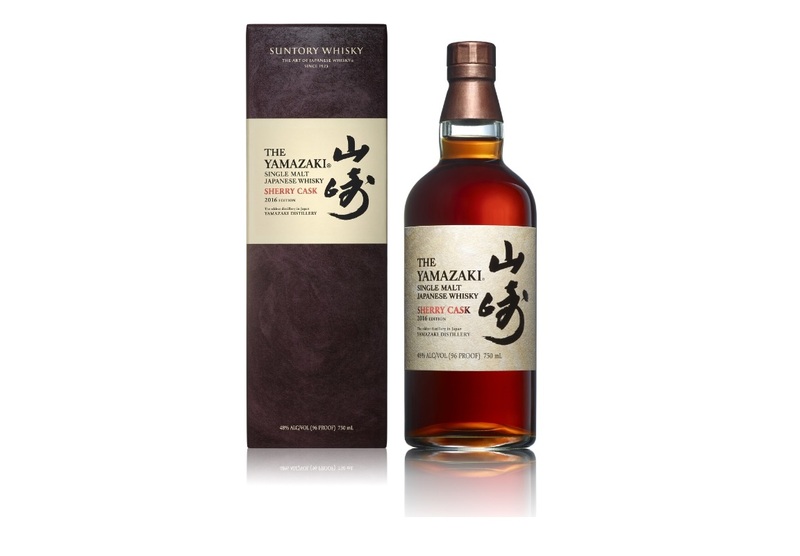 In 2013, Jim Murray’s 2015 Whisky Bible tabbed Suntory Whisky Yamazaki Sherry Cask 2013 as its “World Whisky of the Year.” Thus, single malt fans can rejoice at that the news that the 2016 Sherry Cask is hitting the market on February 1, 2016. Sherry cask whisky has been a constant staple of the Suntory Whisky portfolio since 1924, a year after the distillery began construction. Shinjiro Torii, the founding father of Japanese whisky, first started making his whiskies by leveraging sherry casks imported from the wine of southern Spain needed to blend his famous Akadama Sweet Wine. Hence the sherry cask was the first cask used by Suntory Whisky and plays an important role in the origin of Japanese whisky. Over its 92-year history, Suntory Whisky has managed numerous sherry casks and sherry malts. Suntory’s Chief Blender Shinji Fukuyo visits the Northern region of Spain himself. He does this to ensure that his selection of Spanish oak be sent to the “bodegas” (sherry wineries) to be made into the sherry casks used to store their Oloroso Sherry. Fukuyo oversees this entire process, from the selection of the casks, to the charring and the aging of the sherry. After three years of aging, the sherry casks are sent back to Suntory’s Yamazaki distillery, ready to receive what becomes the distinguished Yamazaki Sherry Cask Whisky. Sherry casks are both revered and feared for their strong character, as they can easily overpower a whisky’s flavor. The Yamazaki malts can also be affected by this sherry/Spanish oak cask flavor. However, in the case of the Yamazaki Sherry Cask, Suntory’s Chief Blender Shinji Fukuyo selects only those casks in which the delicate balance of chemistry between the Yamazaki malt and sherry cask can be achieved, thereby enhancing Yamazaki’s characteristically rich and multifaceted flavor. It is recommended that Yamazaki Sherry Cask 2016 first be served neat to showcase its nose. On its own, there is a clear and fresh top note. A raisin-like, deep sweetness that is both elegant and rich. You immediately taste the complexity of this liquid and the fine balance of maturity and delicateness. Served on the rocks, the flavor opens as you begin to taste the Delaware grape-like sweetness and its slightly bitter acidity. When cut with water, there is a soft sweetness that blossoms like the first apples of the harvest. Five thousand bottles of Yamazaki Sherry Cask 2016 have been produced globally. The retail price is $300.